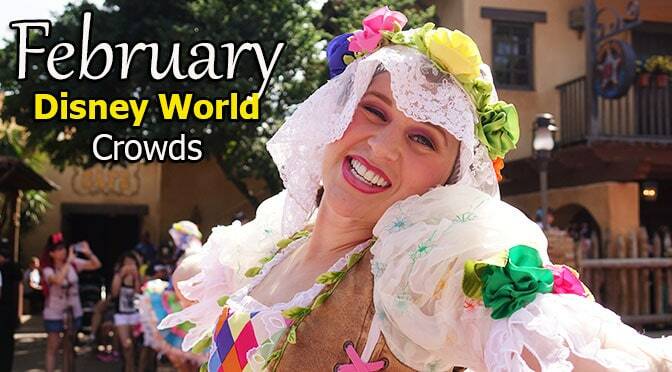 My Disney World Crowd Calendar for February 2019 will be a mostly moderate crowd month, except President’s Week and the Princess Half Marathon Weekend, when the crowds can become quite substantial. The only event scheduled is the Epcot Festival of the Arts, so we might find a few attractions down for refurbishment. 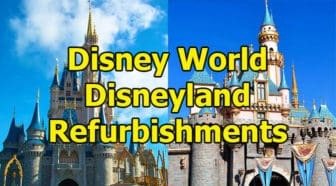 Those refurbishments are typically listed a few months before hand. Water rides may be closed. Check my Attraction Refurbishment page closer to your date. While President’s Week is typically insanely busy, you can manage them with good touring plans and Fastpass+ usage. 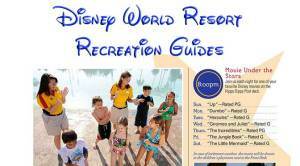 If you are staying at a Walt Disney World resort, rise early on your Magic Kingdom day and take advantage of the early opening of the Magic Kingdom. When visiting the parks, I recommend that you avoid the Extra Magic Hour parks as they will draw in more guests. What will the weather be like during your February trip? The weather in February is quite cool and typically doesn’t rain as much. Wear layers because 75 degrees with the sun shining on you in Florida feels hot and at night the damp air can feel pretty bitter with a light wind. Be sure to bring a jacket and hat. FYI: Sunday, February 24, 2019 is not reflected in the calendar. It skips from 23rd to 25th. Hi, Kenny. We are going to Disney World February 4-7. I am struggling with when to go to Magic Kingdom and when to go to Hollywood Studios. Monday the 4th list MK as the worst park – I am wondering if this has anything to do with it being the Monday after the Super Bowl? Generally, you advise to skip the park with extra magic hours offered, but your calendar suggest MK on Tuesday and HS on Monday – despite the EMH being offered. Ideally, I would like to visit MK on Monday and it would be really cool to see the Super Bowl MVP in the parade, however I don’t know if it is worth going to a busy park and getting less Disney magic time. Any suggestions would be wonderful. Thank you. Mondays are always among the worst days to visit Magic Kingdom. Pick the green parks and you’ll have the lowest crowds. I see that the prediction is for 1/26/19 & 1/27/19 to be heavy crowds, do you know what is prompting that? Just booked a quick trip with 3 day hoppers and thought I was safe for late January but seems like I must have overlooked something. Thank you! Do your crowd calculators reflect possible crowds from the cheer and dance competition crowds? I’m looking at the weeks of January 27th-February 3rd or February 4th-February 9th and these crowds would really factor in my decision. Any advice? I curious, how much time do they spend in the parks. I chaperoned my daughters band/choir and had VERY minimal time in the parks. When you click on the last week in February 2019, it comes up for 2018. Are the predictions correct or does this need to be updated? It was just a date error on my part. It’s fixed now. When do you anticipate hours for Feb 2019 being released? My brother’s family is going Feb 2-9, 2019 and we need to start planning for ADRs. Cant wait to see February 2019 predictions! Already booked the last week! We are planning our next trip for Feb 9-17, 2018. Do you think Toy Story Land will affect your predictions more in HS than it is now? Or is it already factored in? Right now HS looks pretty decent the whole week, so was thinking I’d plan around the MK crowds and work out from there. I am looking at going to the Magic Kingdom on Tues 2/27 and am noticing on your calendar that Happily Ever After Fireworks are at 7:55…I assumed they would be later with the park being open until 10…are they still at 7:55? And then is the Once Upon a Time show on the castle after the Happily Ever After now? The last time I went it was at 7:30 before Happily Ever After. Thanks!!! Does a “heavy crowds/best park” day (such as 2/22) tend to be better or worse than a “moderate crowds/yellow park” day (such as 2/27) – looking specifically at Magic Kingdom. Thanks!! We’re going to Animal Kingdom on Valentines day. Do you think fast passes will be necessary, or are the crowds so light that there’s really no point in them? Thank you so much! This post has been really helpful for our planning. For the February Crowd Calendar – Festival of the Arts is listed as only on the weekend – I’m still a bit confused but thought its every day? Do you have a touring plan for it? Thanks. I’m looking at Tuesday February 6th for MK and you have it listed as a moderate crowd. I can’t figure out why it isn’t being considered light. There’s no EMH that day and I thought Tuesday’s were generally more quiet at magic kingdom? Do you know why it’s expected to be moderate? We’re only spending one day at Magic kingdom and I’m hoping to pick the best date. Thabks! Saturday, February 10 AK EMH should be a morning EMH, not evening, per Disney operating hours. Are you expecting them to change it to evening? Why is Fantasmic not listed for February? Is it every night? In mobile, it’s still not showing the correct dates for Feb 25-28th. It jumps from Feb 22 to March 5th. I’m looking for info on Sunday the 25 and Monday the 26th. Thanks! Mobile users must be subscribed and logged in. The last dates in February link (25 -28) brings you to March 2018. Looking for February 28th recommendations. Mobile users must be subscribed and logged in or use desktop if you choose not to subscribe. I was looking at the first week of February (3-10) and it appears all of the Values and Moderates are sold out?! Is there something up? I thought this was supposed to be a low crowd time. Value resort availability alone would not be an indicator of crowd levels. Many moderate rooms are eliminated due to construction as well. Hi Kenny! Are EMH days changing in February? I was looking at the first 3 days of February and it appears that on Friday the 2nd, you have EMH at AK when in all of January (and currently) EMH on Fridays is at MK? And then on Saturday the 3rd, it says EMH is at MK, when historically it is at AK on Saturdays. Trying to plan for our trip that week and wanted to ask about this. Thanks so much! That’s the info that I was provided. Since the last week of feb is the only week not working….. what is the best park to hit on Sunday right after the marathon? where do the runners usually go? Would like to avoid them, no offense. All weeks work just fine. I just double checked. I clicked the link and it worked for me? I am on a laptop and I can only see Feb 19 – 25. I need the 26-28 and I cannot seem to find it. Appreciate your help! Issue should be fixed now. Looks like I didn’t include the proper date range at the end of the month. Sorry! Kenny, I am having trouble seeing the crowd calendar for the last view days of February 2017. Am I missing something? If you are on mobile, you must be subscribed and logged in. Desktop works for all days with no login. Magic Kingdom is red on Monday, February 6. It doesn’t have EMH or anything special going on that I can see. Is that just a park to avoid on Mondays in general? Or is there an event going on that I’m not aware of? Magic Kingdom on most Mondays is really busy because people are beginning their week at that park. When I try to click on the last week of Feb. it skips to the 2nd week of March. Am I doing something wrong? Don’t know. I just did it on my laptop and worked for me. My apologies if this question is in the total wrong area. I’m staying at Grand Floridian Villas in February 2016. I’ve heard transport to the parks (other than Z Magic Kingdom) is pretty poor due to sharing with other resorts. Does anybody know what order the bus collects? I.e. – where is GF in the list and am I likely to get a seat? It’s not nearly as poor as some would lead you to believe. You only need bus to AK and DHS too. You take monorail to MK and EP. Are you changing any of the recommended parks days now that MSEP is no more? Is there now a night time show on at Animal Kingdom and if so is it going to be on in February 2017? Rivers of Light should premier later this fall. How come there is no crowd prediction calendar for Friday 10th and Saturday 11th February 2017? You can only view Fri-Sat on mobile if you subscribe and login. You can view full desktop view without subscribing. With the electric parade laving MK, will Wishes still be at 10 when the park closes at ? Wishes is usually at 9 or 10pm nightly depending upon closing time. We go the 4th week of February every year and Wishes has always been at 8pm that week because it gets dark much earlier. Hi there!I was wondering if there are any cheer competitions or any other events like that happening February 5th through 18th. I couldn’t find any info on that subject. Thanks! Yes, there is one at the 11-13/02 weekend. All value resorts are completely booked. Thank you!we leave the 12th.hopefully we won’t get too caught up in the crowd. I noticed there is no Fantasmic on the calendar for the newly released February 2017 hours. Does Disney not post those until later? How far out? Was hoping to book a fantasmic dining package and now I’m worried they won’t have it at all! It will get added eventually, but can’t say when. I do email updates when it happens for those on my mail list. Hi Kenny, thanks for all your hard work! Just curious, going to Epcot for a quick trip Feb. 2-4 (Epcot on Friday) so leaving Saturday before Super Bowl..do people come to see the game even thought it’s not in Orlando or are these just locals? Are the resorts super busy or is it locals at the parks? Super Bowl doesn’t affect attendance. It’s just there for people to know when it occurs. Sometimes the MVP has a special parade shortly after though. When will 2017 calendars be out? Do you know what date this year is the day MK is open 24 hours? So if the top color is yellow for light crowds but the magic kingdom is highlighted in red (and so on for the other parks in different colors), what does that mean? Are the parks color coded for a reason? As it states in the color outline, Red is worst park, Yellow is median park and Green is best park. I am looking for the Festival of Lion King and Finding Nemo show times for February 2016. Do you have those listed anywhere? If not, do you know the times they are preformed? I was looking at your calendar, and Feb 6 is not showing (which is the day that we will be there). Any idea on what the crowd will look like? Thanks! Feb 26 and 27 seem to be missing from week 4. Thoughts on MK on those days? Also why is MK red on Feb 29? Is there something special for the Leap Year? Thanks! I don’t see them missing on desktop or mobile. Slide right on desktop? Thanks- I looked on my desktop and see them just fine there. I still can’t see them from my phone (scrolling down ends at Thurs Feb 26), but it must be my browser. I got the info I needed though. Thanks for being so awesome! What phone and browser, so we can investigate? Samsung Galaxy S3 with Safari 534.30 on Android 4. How do I actually see the crowd calendar for February? I can only see the partially covered one at the top of the screen. What am I missing? Did you click the links at the bottom of the screen for the appropriate dates? Thank you. I didn’t realize I had to click on the individual weeks. I trying to click on the big calendar at the top. Thanks for responding! I have it now! Going Feb 18-24, I didn’t see any Star Wars Fireworks but I thought they were still going to be going on. Yes? No? I was so looking forward to them. Thanks for all the info! Your site is great info. I have reservations for the “Pirate and Pals” Fireworks voyage paid in full on Thursday, Feb. 4th. So, this must mean there are indeed fireworks that night, correct? Any idea why there are no Fantasmic shows scheduled during Feb. 6-13, 2016? Also, I have been trying to make a dining reservation for Mama Melrose’s at HS during that week and it appears that they are not taking reservations at that time. Do you know why? Do you think either of these situations will change? Yes, they change them frequently. I post updates when they change. There aren’t going to be more EMH and you can check the ones last year vs this year at the bottom of the page. Doesn’t affect the other parks much. MK is only busy from 8pm until 2am on those days. Assuming they do it again next year. Do you have a guess when the Fantasmic schedule will likely be released? Any thoughts on why there is no Wishes scheduled for February 4th? Will it be added at a later date? We are coming up on our 180 window and wanted to book the Wishes dessert party for that day. Thank you! when there are multiple characterpaloozas scheduled for a single day, are they usually the same characters at each? Kenny, why are these no electrical parades Feb. 23-26? We’re bummed that our four day park hopper gives us no chance to see this. It does seem odd for 4 consecutive days. Either they will add one or they are doing some refurbishment on them during that time. We should know by mid February. …sorry, forgot mention the park that I am referring to. What is going on Monday, February 8 that makes MK so insanely busy? Thank you for all of your advice! What is going on that makes Mon 2/8 insanely busy? Bigger crowds expected. You can tell because the MK is open until midnight. I think the weekend/week/weekend of February 14th-22nd should be even crazier than expected because not only is it Presidents’ Day and the Princess half Marathon it also is Valentine’s Day and Mardi gras. Do you think those two added holidays will make it even busier? Or do you think those two holidays will not affect it very much? No. I have a 4-day w/ park hopper. If you feel you must try both parks in the same day, you should do Epcot first. Going to MK and Epcot on 2/21. I was wondering how bad crowds are going to be that day at MK and Epcot, since it is a marathon weekend. Click on the third week of February and the crowd level is always at the top where the date is. In your case it’s level Orange or really busy. 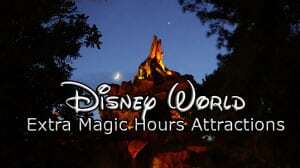 Are you using the extra magic hours? Hi. I have been using your crowd calendars on my last few trips. They have been great! Thank you. I do have a question on 2/19. The hours of the Magic Kingdom you have are different from what is posted on the official website when it comes to magic hours. You have 8am-9am. They have 12am-2am. Are yours right or is what they have posted correct? Just trying to plan that day there. Thanks again. Error was on my end. Thanks for pointing it out! 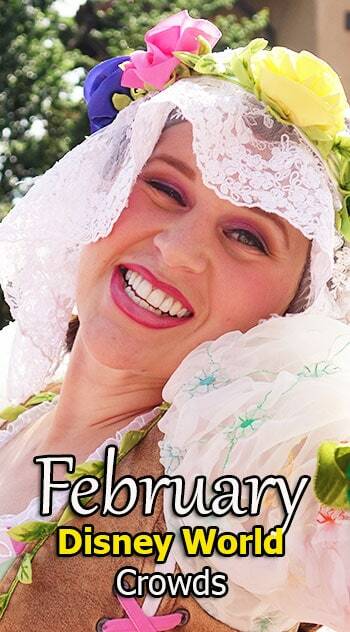 The calendar for february 2015 does’t show up….but I can see all the other months ??? Solved the issue, thank you for pointing this out! What does the orange cell mean on 2/28? It’s explained right above the calendars with the color code chart. Means pretty busy day. Wasn’t trying to be obtuse. Maybe my monitor is calibrated differently, but the “pretty busy” chart color looks different (peach colored maybe) than the orange cell. Or maybe I’m just color blind. :) I just wanted to make I wasn’t missing something. I’ll adjust that. You weren’t obtuse at all.